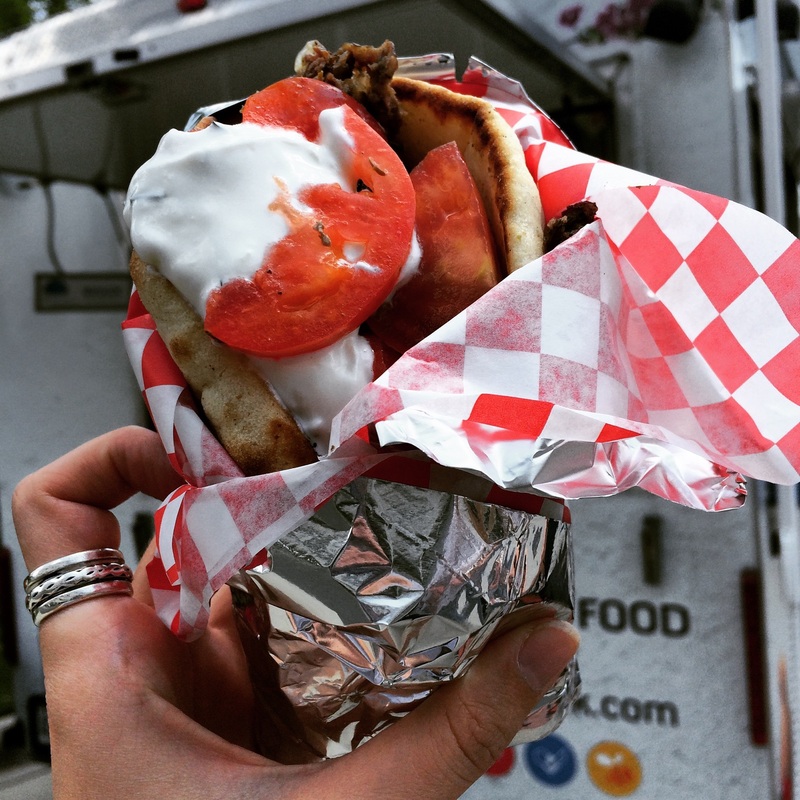 Greek Goodness – On Wheels! When I first heard Charlotte had a Greek food truck, I felt pretty pumped. Greek food? Out of a food truck? Sounds like a dream come true! And when Gyro Twins starting showing up in Ballantyne during the week, I knew I was in for a treat. My first visit to this glorious truck occurred about a month and a half ago. We drove across the corporate park to Premier to get our first taste, and we were not disappointed. Naturally, I ordered the gyro with a side of orzo salad (a daily special). 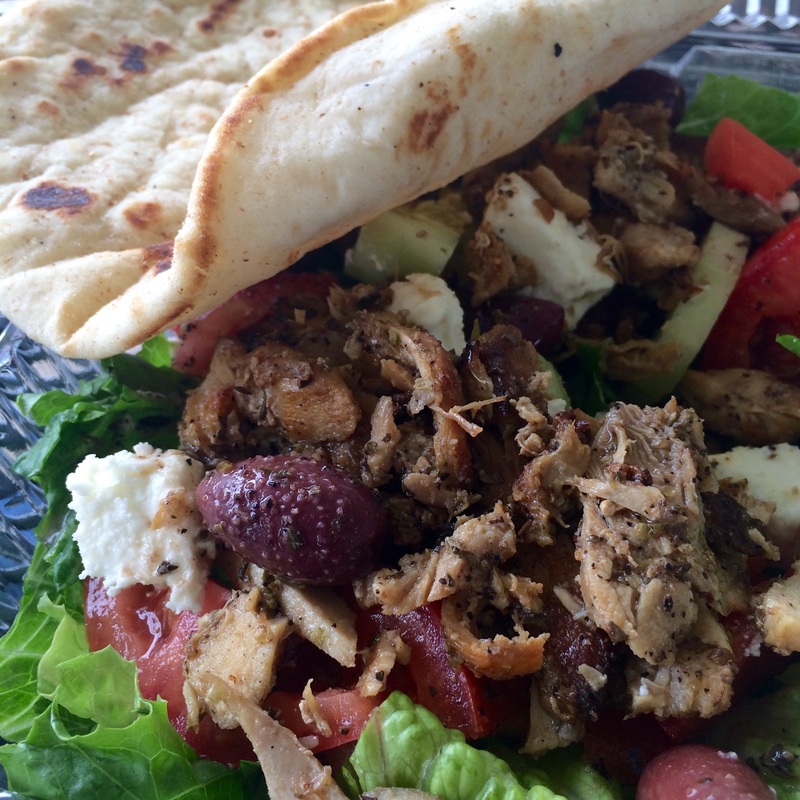 The fresh pita was stuffed with seasoned, flavorful lamb and topped with tzatziki and tomatoes. Finding the perfect gyro is a tough task, but this is easily one of my favorites! A few weeks later, Gyro Twins suddenly appeared outside my office, and I discovered that they’d be parked there every Monday (waiting for me, of course). So I had to celebrate by trying something else! This time I had the Greek salad with chicken, which was topped with a tangy dressing and delicious feta. It came with a side of pita which perfectly completed the meal. The fact that Gyro Twins will be parked outside my office once a week is a blessing and a curse. But mostly just a blessing because I’m trying to order everything ASAP. Check these guys out next time you see them. They’re super friendly, and their food is super amazing! Previous Post Is it weird to be obsessed with salads? Once again, a gem! Find the best Italian restaurant. Then a French. I think you are going places! Love you, Ma.